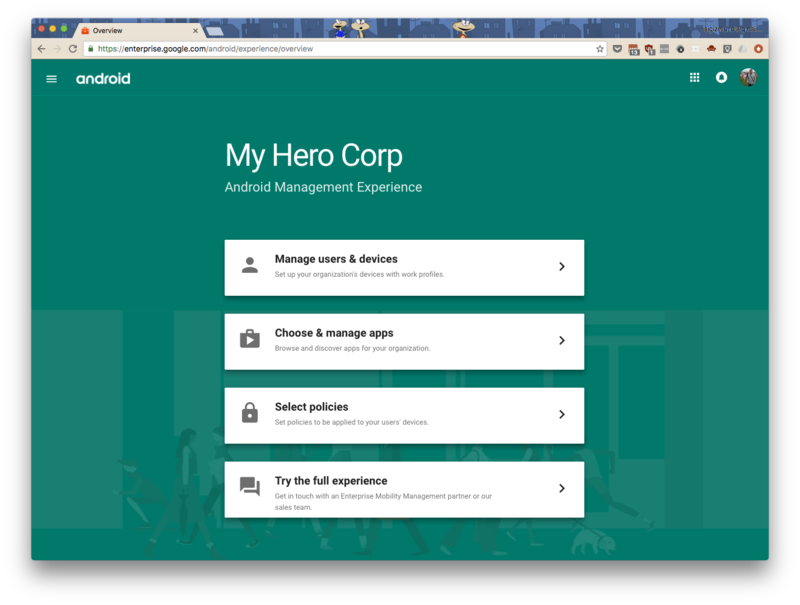 One launch I am very happy to see - Android Management Experience, was briefly described by wonderful Ron Amadeo of ArsTechnica. In a nutshell, this is a way to enable managed (work) profile on your Android device, which you can manage remotely — something that your employer's IT desk would usually do if you want to use your personal device for work. Greatest thing about Managed Android experience is that it is effectively a very small, very limited, yet fully functional enterprise mobility management tool for Android: greatly stripped down of features, but working nevertheless. Another thing which I didn't realise until I tried it - you can even upload private apps via Play Developer Console and distribute these apps within your "organisation" using Android management experience. In short, if you are Android enthusiast this is definitely something worth playing with!